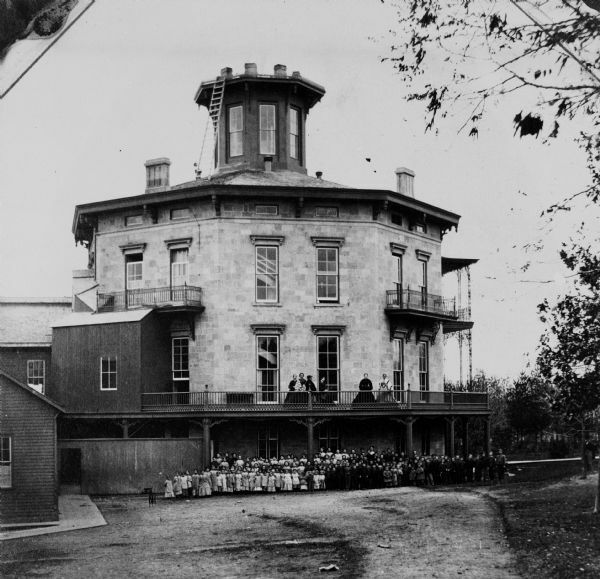 Malaria, typhoid, and infection claimed more Wisconsin soldiers' lives than Confederate bullets did. Cordelia Harvey, widow of former Governor Louis Harvey, was appointed to investigate the Southern hospitals where soldiers were treated. 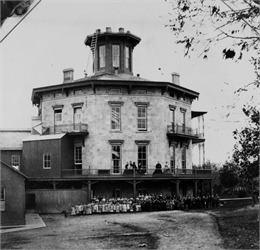 After an eight-month inspection trip, she called on President Lincoln for permission to establish a hospital in Madison. 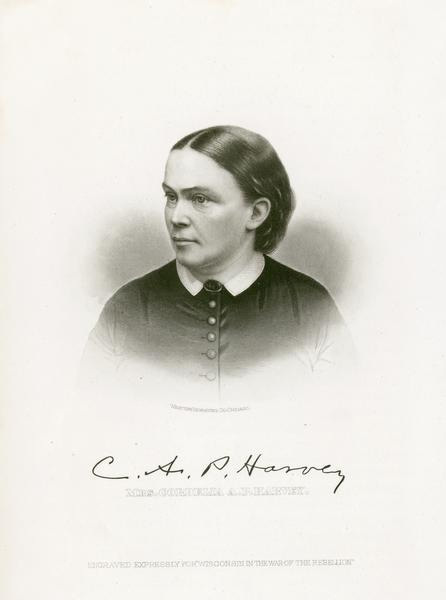 When she met with him in September 1863, she argued that helping more soldiers recover should make him happy. From Original Text: "The President bowed his head, and with a look of sadness I can never forget, said, "I never shall be glad any more." All severity had passed from his face. He seemed looking backward and heartward, and for a moment he seemed to forget he was not alone: a more than mortal anguish rested on his face. The spell must be broken, so I said, "Do not speak so, Mr. President. Who will have so much reason to rejoice when the government is restored, as it will be?" "I know, I know," he said, placing a hand on each side and bowing forward, "but the springs of life are wearing away." ... As I arose to take leave, I said, "Have you decided upon your answer to the object of my visit?" He replied, "No. Come tomorrow morning. No, it is [cabinet] meeting tomorrow — yes. Come tomorrow at twelve o'clock, there is not much for the cabinet to do tomorrow." He arose and bade me a cordial good morning. [After the next day's cabinet meeting:] Mr. Lincoln did not wait to send for me but came directly into the room where I was. It was the first time I had noticed him standing. He was very tall and moved with a shuffling, awkward motion. He came forward, rubbing his hands, and saying, "My dear Madam, I am very sorry to have kept you waiting. We have but this moment adjourned." I replied, "My waiting is no matter, but you must be very tired, and we will not talk tonight." He said, "No. Sit down," and placed himself in a chair beside me, and said, "Mrs. Harvey, I only wish to tell you that an order equivalent to granting a hospital in your state has been issued nearly twenty-four hours." I could not speak, I was so entirely unprepared for it. I wept for joy, I could not help it." Harvey, Cordelia, "A Wisconsin Woman's Picture of President Lincoln." Wisconsin Magazine of History vol. 1, no. 3 (March 1918): 233-255.